Halwa!!! 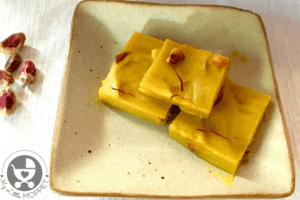 Just the mention of this sweetmeat brings back memories of the tasty Tirunelveli Halwa that my Dad used to bring home from our local sweet shop during my school days. There was this particular shop in Madurai where they prepare fresh, hot halwa in the evenings. The sight of the halwa was enough to tickle our taste buds with the ghee oozing from it, accompanied by a heavenly aroma – yummm! Now that I live so far away from home, the only time I get to see the Tirunelveli Halwa is in my dreams. 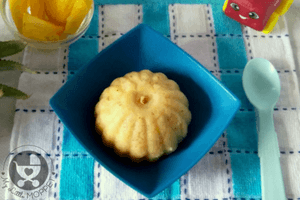 I have tried making it at home a couple of times but it didn’t turn out well – it was either very sticky like bubblegum or as hard as a rock!!! Anyway, coming to today’s post, one of my readers had requested for a Wheat Halwa recipe a while back, which led to me scouring my old cookbooks, from where this recipe turned up. 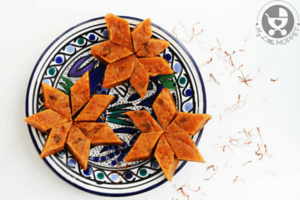 If you ask me, this is the perfect wheat halwa recipe – the best you’ll find anywhere!  It was so good that after feeding my daughter, I ended up gobbling the whole thing – forgetting about the other people in my home! My husband and son were not too thrilled about not getting to even taste the halwa! 1. In a kadai, heat ghee on a low flame. 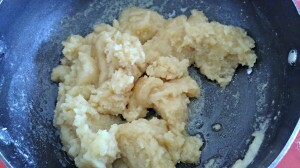 2.Add the wheat flour and fry on a medium flame till it gives out a nice, roasted aroma. 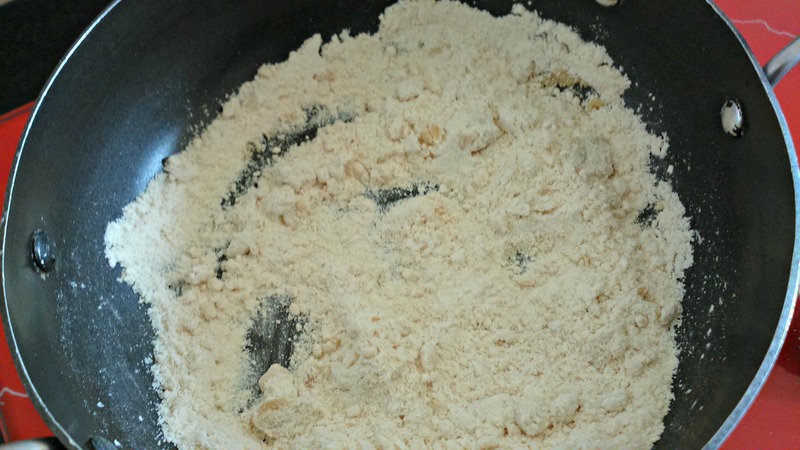 Be careful to not burn the flour. 3. 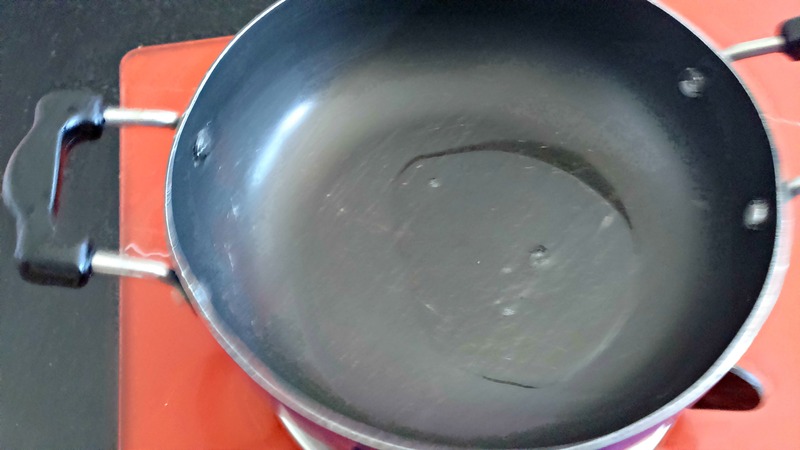 Add water and continue to stir so that it doesn’t form lumps. 5. 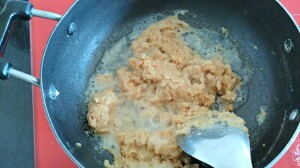 Add mishri sugar and stir well. 6. 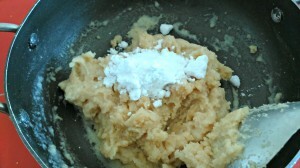 Once the flour is properly cooked and the ghee starts separating from it, add elaichi and almond powders and turn off the gas. 7. A little formula or breast milk can be added to make the halwa runny. 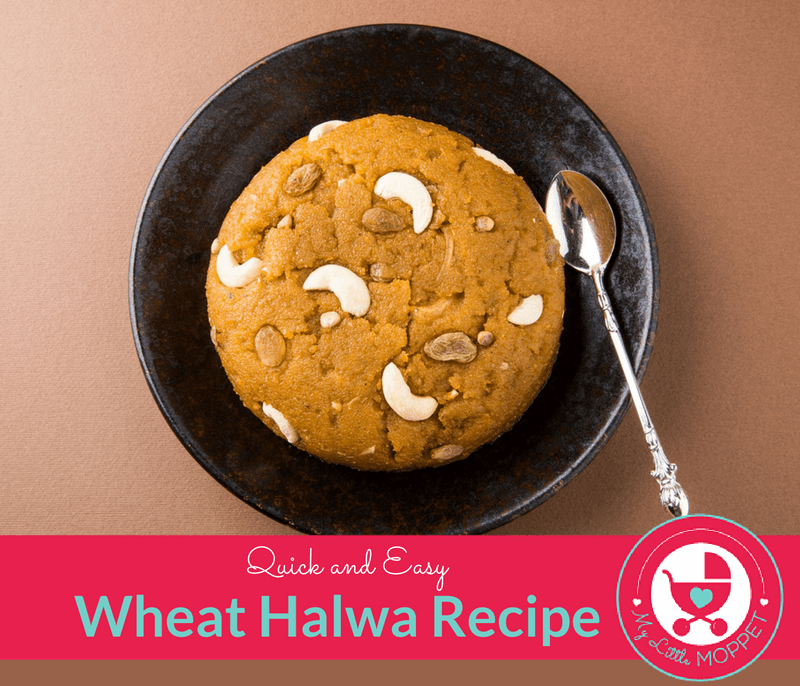 The next time you crave some halwa, you can try this easy wheat halwa recipe! It’s quick and easy enough to be ready in a jiffy! 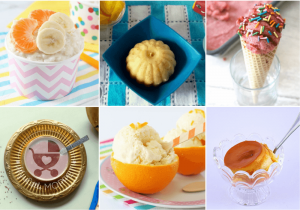 Receive more articles and recipes like this by following me on Google +, Twitter, Pinterest, and Facebook. 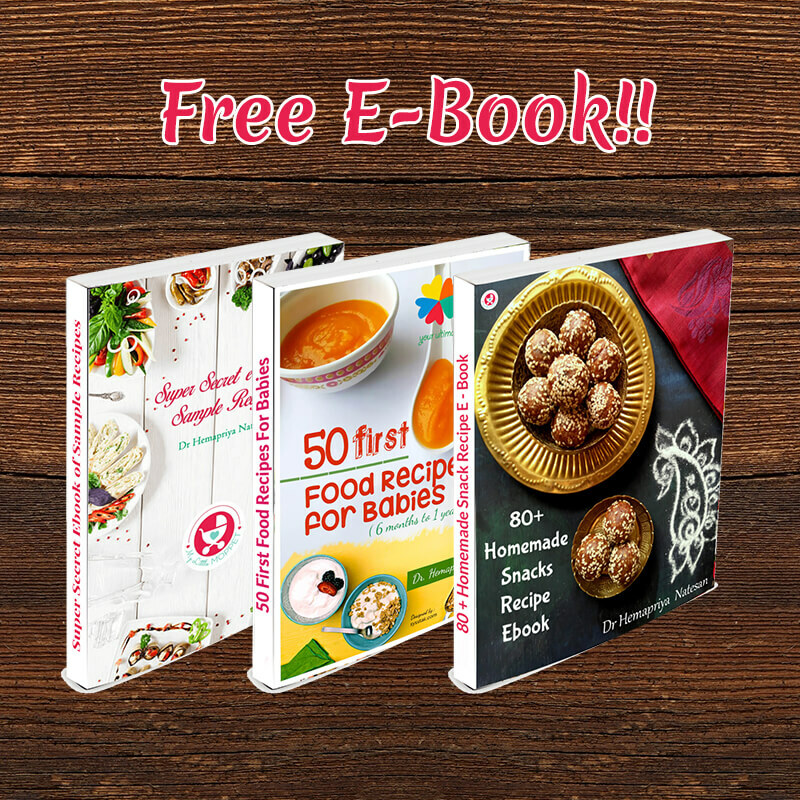 Have you downloaded our FREE ebook on 50 first food recipes for babies? If not, Click Here to download. Well, best to give fresh. And otherwise in few hours of preparation. My baby is 8 month old. Can I add ghee, salt, jaggery or sugar to his food? You can add ghee . Sugar, salt and jaggery best after one year. 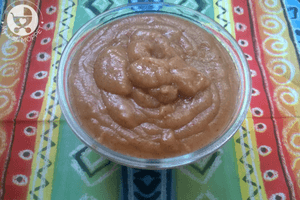 For sweetness you can check for dates syrup recipe on the site and add. 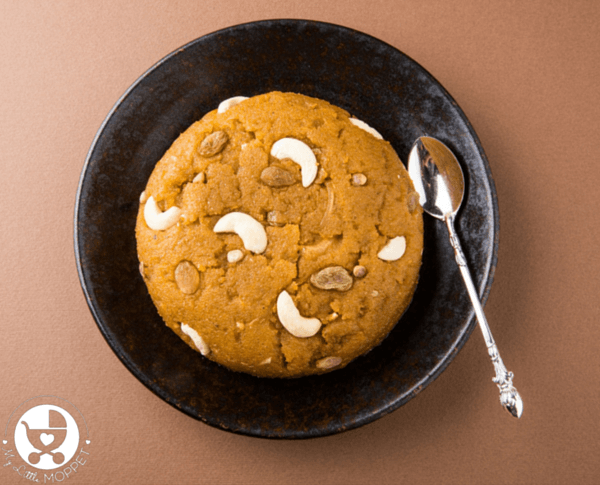 Can I prepare the same using Jowar flour or bajra flour? 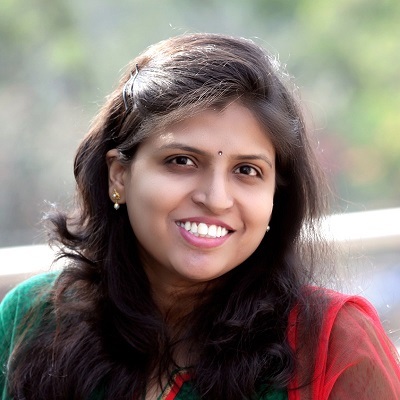 How can I give Jowar and Bajra flour to baby? My baby is 7.5 months now. 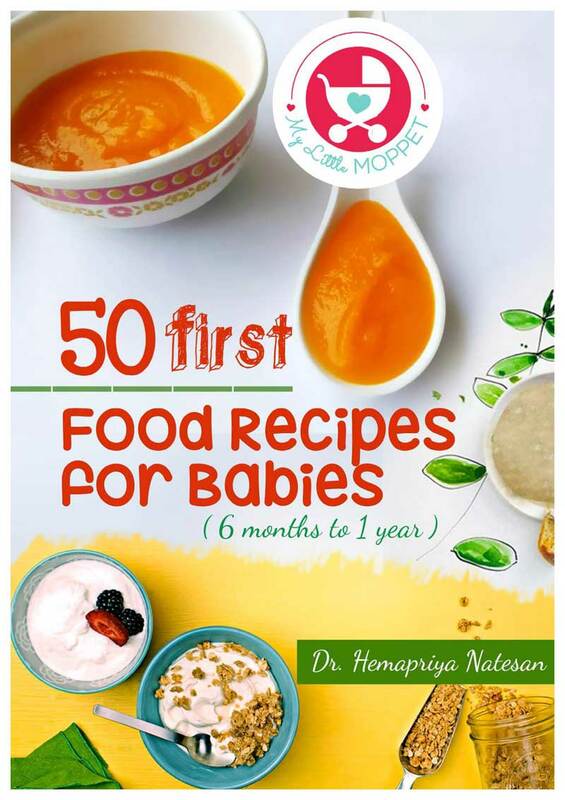 Can I store wheat flour after roasting it for my baby?